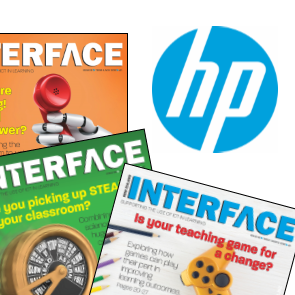 Welcome to the INTERFACE Reader Survey, in association with HP New Zealand. This is your chance to tell us about you, your school, and your use of digital technology – and help us to create a snapshot of 'Digital learning in New Zealand schools, 2019'. Your opinion matters to us and we'll use your feedback to ensure we keep providing you with the best service possible. It'll only take a few minutes to complete the survey. PLUS, if you choose to include your details, you’ll go into a draw to WIN an awesome HP Elite x2 1013 G3 (RRP $3789). * 2. Where is your place of work? * 3. How would you describe your digital technology abilities? * 4. How often do you use a computing device (desktop, laptop, tablet, smartphone, etc.) in your work? * 7. Are you currently leasing a laptop through the Ministry's TELA scheme? If, so what brand of device?